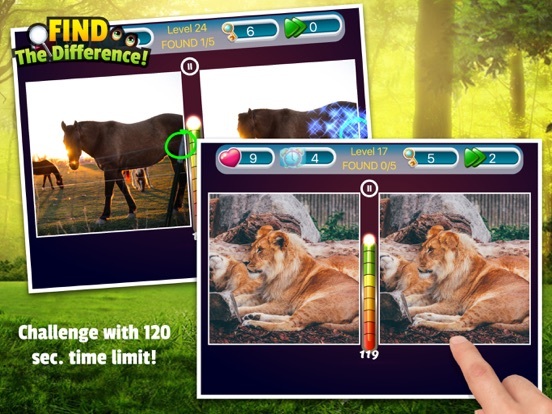 Find 5 difference in similar 2 photos within 120 seconds and tap! 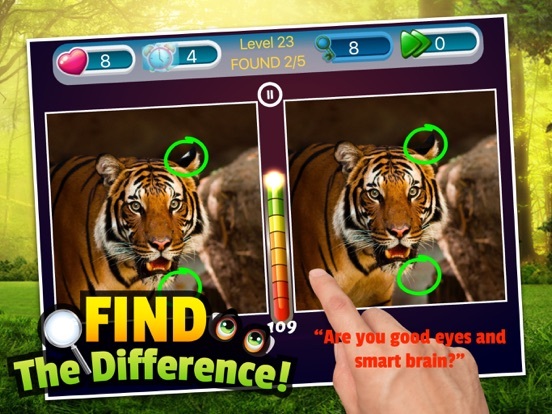 Are you good eyes & smart brain? 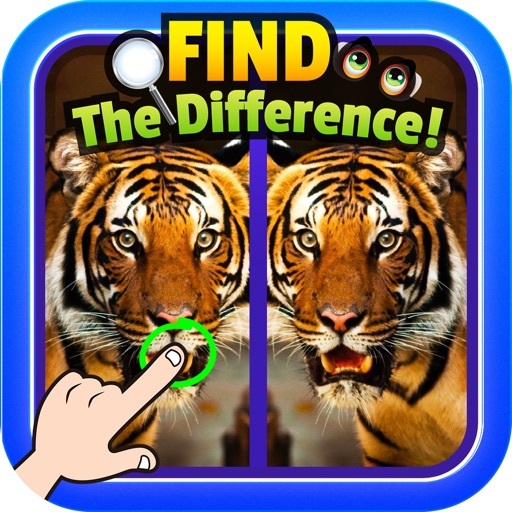 Just spot 5 differences in each photo, Simple and Easy but very so funny addict game. 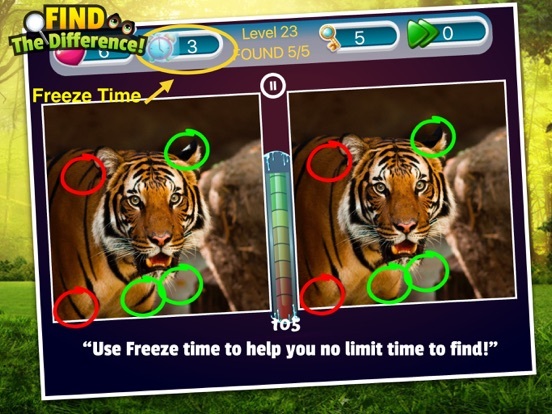 Find the difference good for relax and time killing, player all ages - all gender have been enjoying Find the difference games. 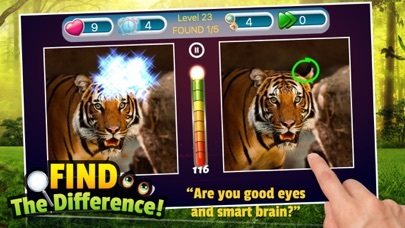 Find the difference is also helps player to improve your brain and concentration skills. 1. 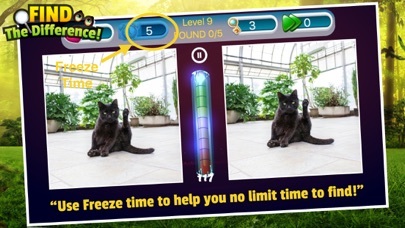 Player have 120 seconds to clear level. 2. 5 Hints, 5 Skips, 5 Freeze Time Get on start game. 3. 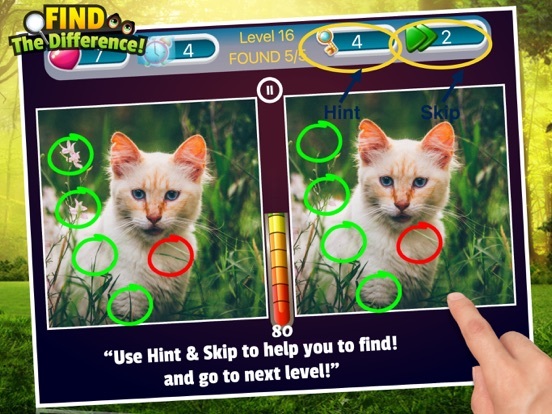 Find and Spot 5 Difference for completed level. 4. 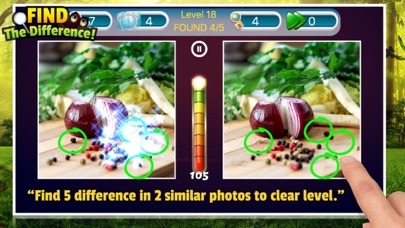 1 Hint + at the end of each level. 4. Out of Time or wrong spot more than 9 points = Lose! 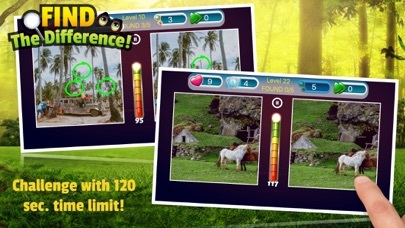 - Addictive game play that's fun for everyone! 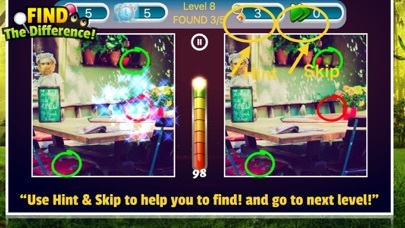 - Tool for help => 5 Hints, 5 Skips, 5 Freeze Time Get on start game. 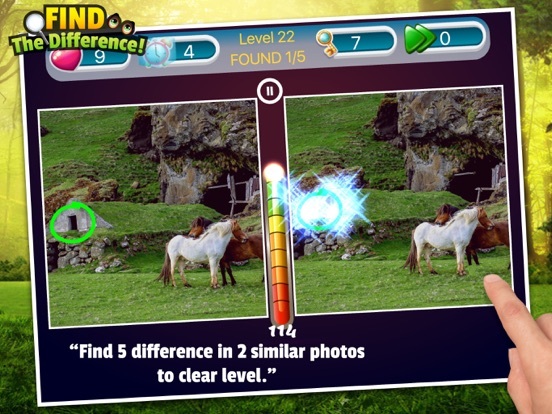 Let's Download Find the difference and Play Now!